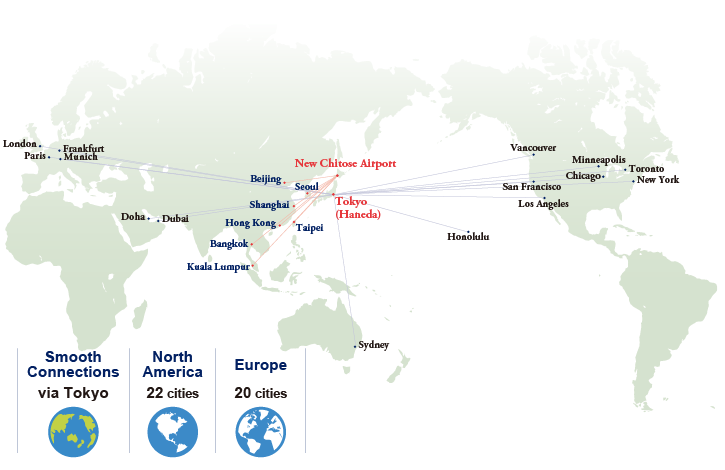 The airport is conveniently located, and in general, access is incredibly easy in Sapporo. Click here for more inforation. 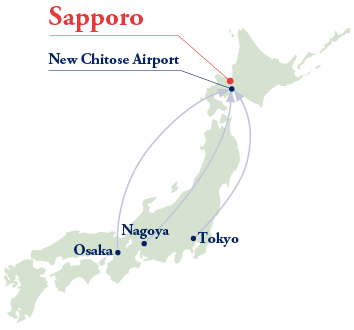 It is possible to get from New Chitose Airport to Sapporo Station in only 37 mins by train. Departing New Chitose Airport and arriving at JR Sapporo Station Via the Rapid Airport Express, approximately 37-42 minutes. From Sapporo Station, 7 minutes on foot. The venue, Hokkaido University Conference Hall, is just 7 mins from Sapporo Station. 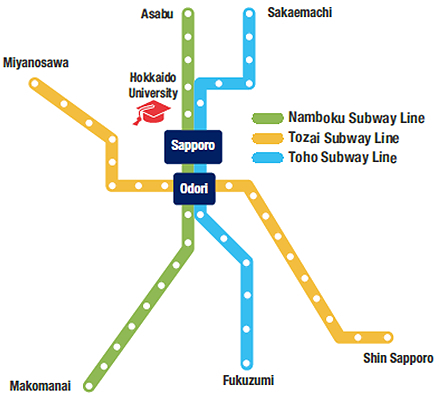 The subway in Sapporo is quite simple and makes transportation around Sapporo City a breeze.